Deborah is an experienced Emmett, Bowen & Massage Therapist of 16 years, working primarily from a referral base practice. Deborah is also qualified in Manual Lymphatic Drainage, Reiki and Ear Candling. Find out more. If you've been feeling run down or are recovering from illness, Lymphatic Drainage is a relaxing treatment designed to support your body in the elimination of toxins, bacteria and viruses. Find out more. We believe in prevention and patient education…. Find out more. MIK CHINESE MEDICINE REMEDIAL MASSAGE(CHINESE). Lymphatic Drainage, Massage - Chinese, Massage - Corporate / Workplace, Massage - Deep Tissue, Massage - Mobile Service, Massage - Remedial, Massage - Sports, Trigger Point Therapy. Find out more. Lymphatic Drainage, Acupressure, Aromatherapy, Energy Healing, Flower Essences, Iridology, Massage - Connective Tissue, Massage - Corporate / Workplace, Massage - Deep Tissue, Massage - Indian Head, Massage - Mobile Service, Massage - Pregnancy, Massage - Remedial, Massage - Sports, Massage - Stone Therapy, Massage - Swedish / Relaxation, Meditation, Men's Health, Natural Fertility Management, Neuro Linguistic Programming (NLP), Nutrition, Reflexology, Reiki, Remedial Therapies, Trigger Point Therapy, Weight Loss, Women's Health. Find out more. Reflexology stimulates the body's own natural healing processess. Find out more. Providing a range of therapeutic massage and Lymphodema Decongestion services. Find out more. Offering Professional Ear Candling and Courses To Victoria. Find out more. Heather enjoys assisting people who experience neck and shoulder tension from life stresses or work posture. Find out more. 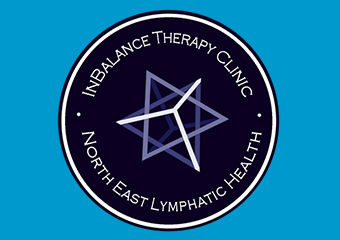 Are you interested in studying Lymphatic Drainage Courses ?